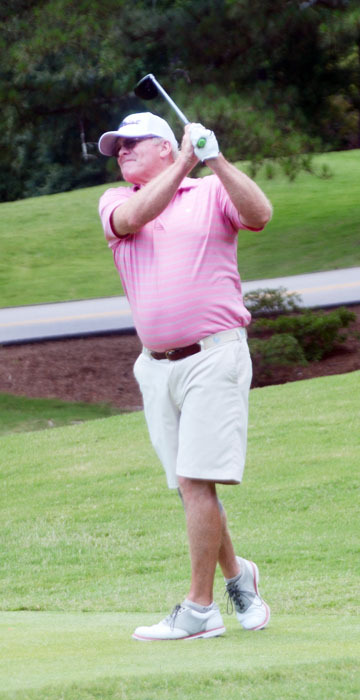 Todd Hendley was the only golfer to finish under par at the Chanticleer National Senior Invitational. 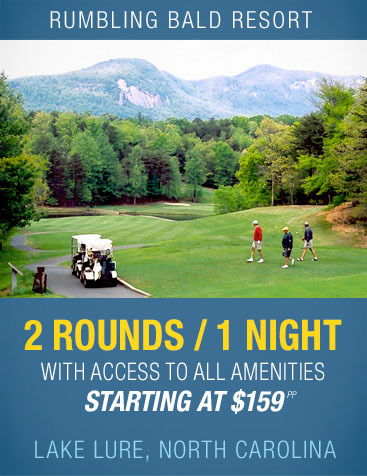 In recent year’s the final hole at the Chanticleer National Senior Invitational has turned into an adventure. No lead has been safe going to the final hole in the past, but this year was different. Todd Hendley eliminated the chance of any drama on the final hole with a solid even par performance in the final round at the Greenville Country Club’s Chanticleer course. Hendley took the lead in the second round from Bert Atkinson. 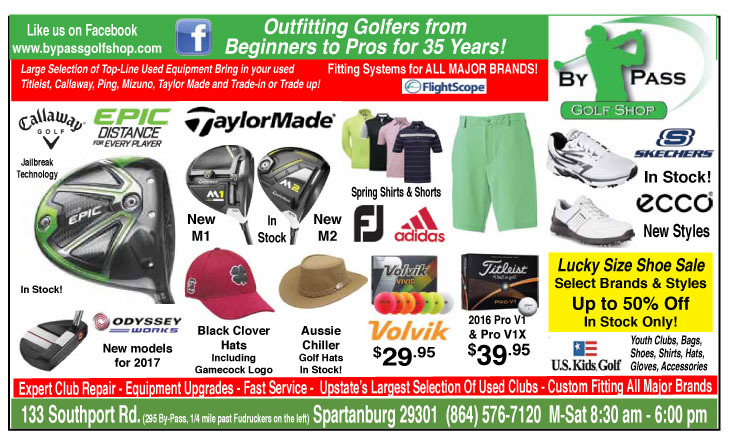 He had trailed the Charleston golfer by a shot after the first round, but shot an even par second round to take a two shot lead into the final round. When the last round began Hendley was the only golfer in the field to be under par and thought another even par round could be a winner for him. “I just wanted to concentrate on what I have been doing,” said Hendley. “Just hit fairways and greens,” he said. 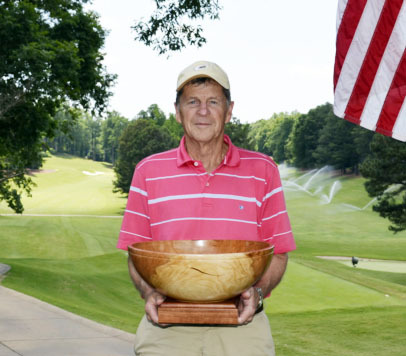 The two-time SCGA Senior champion gave his lead away with a double bogey on the first hole. “I hit a few bad shots, but it seemed like every time I hit a bad shot I was able to come back and make a couple of birdies,” said Hendley. Tim Miller won the Super-Senior Division by one shot. At the turn Hendley was back to even and the golfers chasing him for the lead had fallen back. Hendley made another double bogey on the back nine, but cleaned it up again with a pair of birdies to finish the final round at even par and one-under par for the championship. “I like playing these 6,400 to 6,500 yard golf tees. My wedge game is pretty strong and that allows me to compete with these seniors. I played pretty solid and this is a good tournament,” he said. Walter Todd of Laurens and Scott Mayne of Harrisburg, PA finished in a tie for second at six-over par giving Hendley a 7 shot victory. Tim Miller of Venice, Florida improved on his third place finish in the Super-Senior division last year to claim the championship. Miller shot rounds of 76-71-72 for a 219 total. 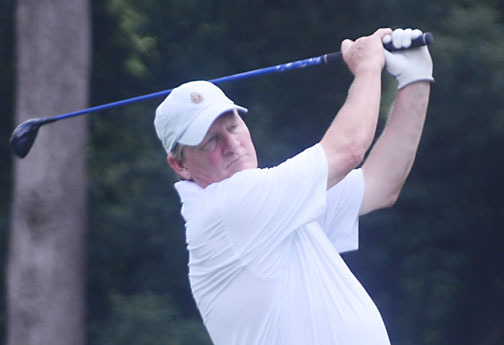 Greenville Country Club member Johnny Dennis led the Super-Senior first round and finished third. “I made a few more putts this year,” said Miller. “This is a tough course and you have to stay away from double bogeys,” said the Super-Senior champion. Miller may have won the division title with a chip in sand shot on the par-3 second hole. Neil Spitalny of Chattanooga finished one-shot behind Miller. First round leader Johnny Dennis, from Greenville, carded a four-under par 68 in the first round. The former Greenville Country Club champion finished in third place in the division. Don Wood of Louisville won the Legends Division shooting a 54 hole total of 6 over par. The tournament continues to grow and add players from all over the country. Tournament founder Frank Wrenn III has seen the number and quality of players increase over the years. 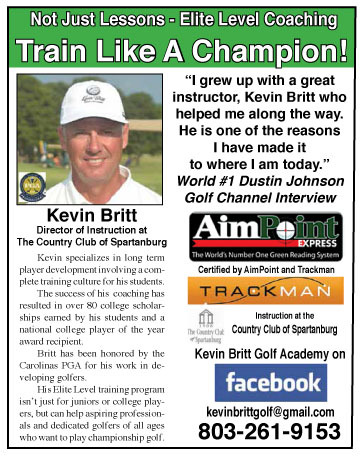 “I think we had seven or eight state senior champions and we had golfers from as far away as California,” said Wrenn. “The club and the staff have done a wonderful job making this event a great experience for all the golfers,” he concluded.